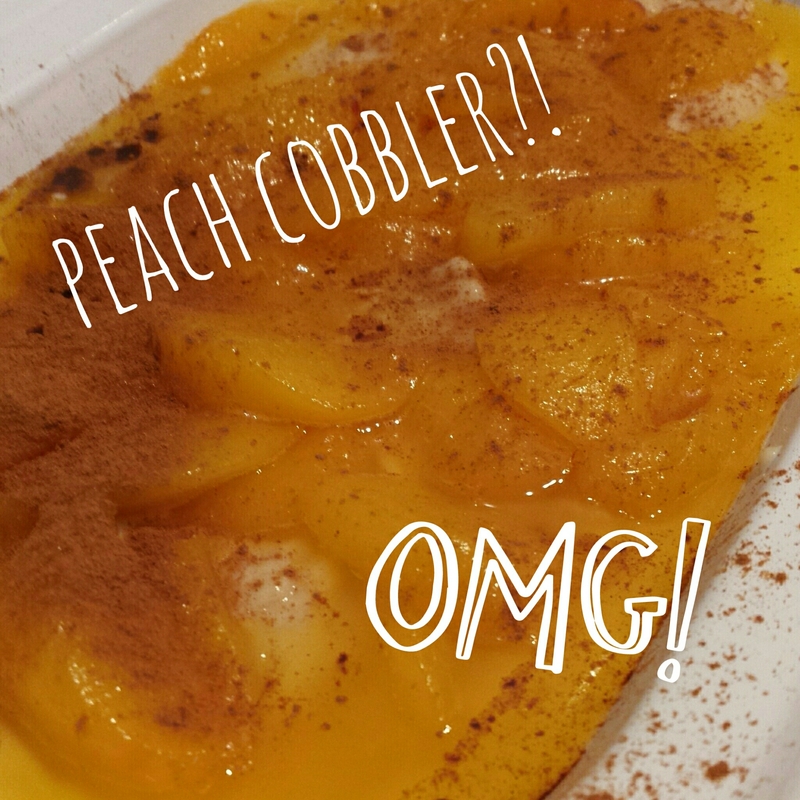 This week I had some fresh peaches to use up…so I decided to try out a ‘peach cobbler’ recipe…. never made it before!? this is the recipe Iused…just found it via Google. ..
Well here in the UK we don’t use ‘cups’ as measurements…so I kind of guessed! It was all rather approximate. 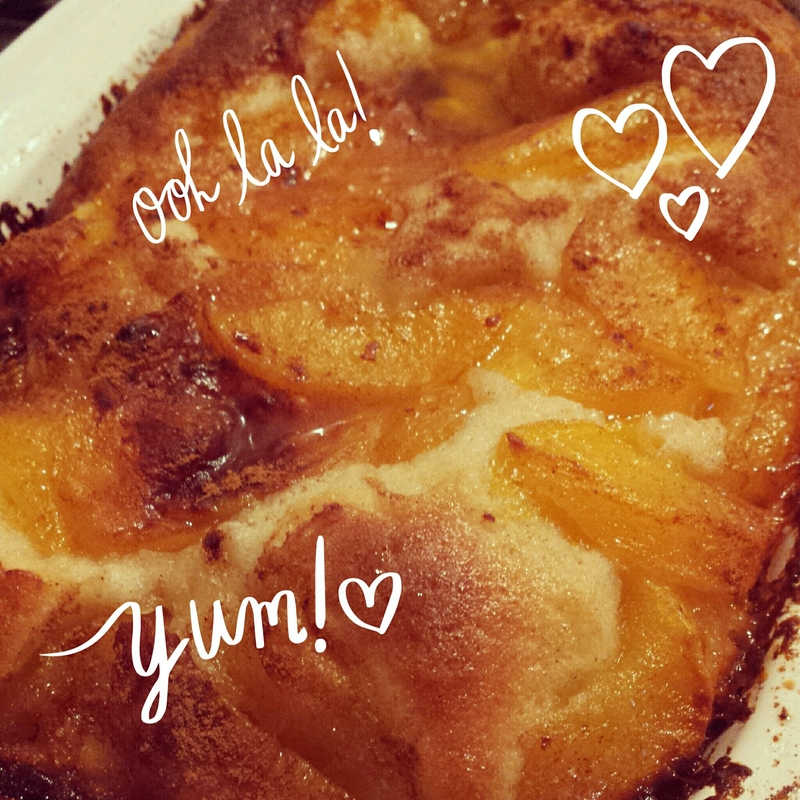 It was a weird way of baking…very ‘wet’…have never tried anything this way before….perhaps my fruit was too ripe? But… to be honest it turned out pretty well!